As the countdown to New Year's Eve begins we thought it a good time to take a look back at clips from the last few NYE broadcasts with Anderson Cooper and Kathy Griffin. ATA won't be live blogging AC's NYE show this year but we will have clips posted as soon as possible. We hope everyone has a safe and fun NYE. The Shot on New Year's Day 2009 was a look back at the highs and lows of the New Years Eve 2008 special. 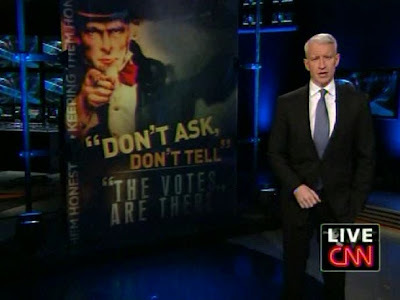 Today we've got Anderson Cooper's appearance in the Fall of 2005 on The Colbert Report for your enjoyment. Tonight we've got a few more talk show clips for your enjoyment. This first one is from May 29, 2005 when AC guested on CBS's The Early Show. Thanks to one of our anonymous commenters we now have at least part of AC's Tonight Show appearance from August 2007 with Heidi Klum that we mentioned in last night's post. The second part has a little overlap of the first clip with the rest of the interview. 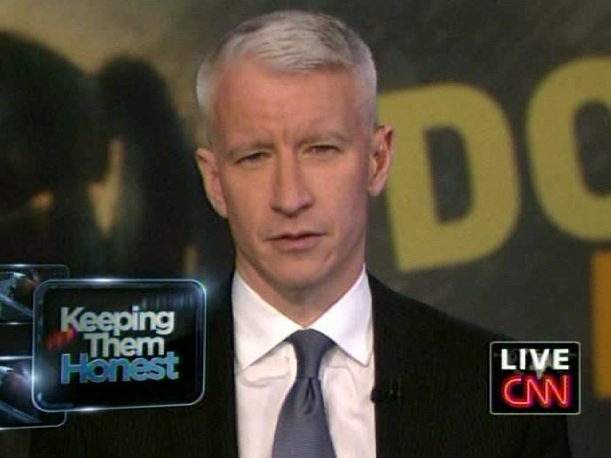 Tonight we have Anderson Cooper's appearance on The Tonight Show with Jay Leno that aired on March 27, 2008. And here's AC's appearance, in 2 parts, from May 6, 2009. Sadly we have no copy of Anderson appearing on The Tonight Show in August 2007. If anyone has it we'd love a copy. You can read about it here. Cooper's story about prematurely going grey and Heidi Klum's reaction were priceless. Tonight we have for you our annual Classic Cooper Christmas Clips. It's a collection of our favorite Anderson Cooper Christmas moments. The ladies of All Things Anderson wish all of our wonderful readers a very Merry Christmas and a Happy New Year! 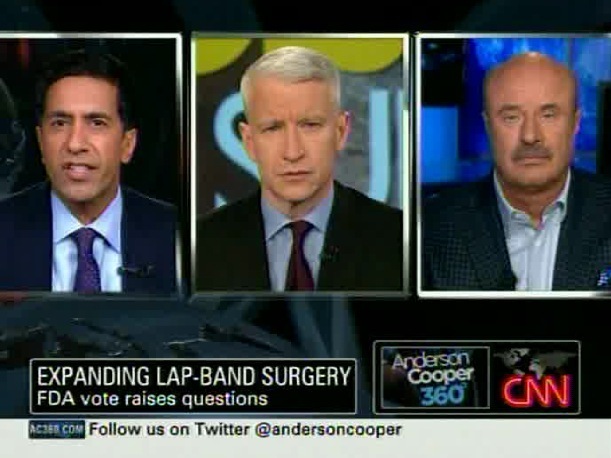 We continue to share some of our favorite Anderson Cooper guest appearances on talk shows. Today we have two of AC's appearances on The Daily Show with Jon Stewart. The first is from February 2005. The second clip is from June 21, 2006. Tonight's walk down memory lane with Anderson Cooper is courtesy of Carson Daly. Christmas vacation has begun for Anderson Cooper and for All Things Anderson's overworked and underpaid staff. But before we closed the offices for the holidays we dug through the archives to find talk show memories from years past. Tonight we present AC with David Letterman. Enjoy! Tonight's puzzle is from Anderson's appearance last week on Watch What Happens Live. At one point Andy Cohen put a bow on Anderson and pronounced him part of Bravo's birthday gift to NeNe Leaks. I don't know about you, but I was thinking he'd make a nice Christmas present! Seriously, I'd like to wish you all a very Merry Christmas and hope that you are able to celebrate the holidays with family and friends. I have lots of festivities planned for the next two weeks, so I'll see you back here on January 2nd. 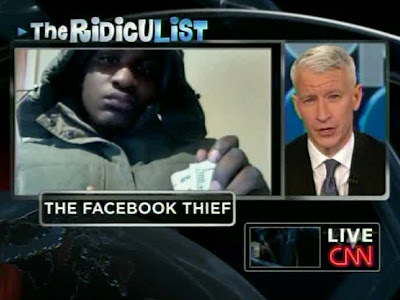 Fingers crossed, it will be my Anderson Cooper - Year In Review post. ~ Wonz. Phebe posted on Thursday night that I would include the clip of Anderson's tribute to Larry King on today's post. However, I decided to do post both clips and the transcript as an extra on Friday's post. If you missed it, here's the link. 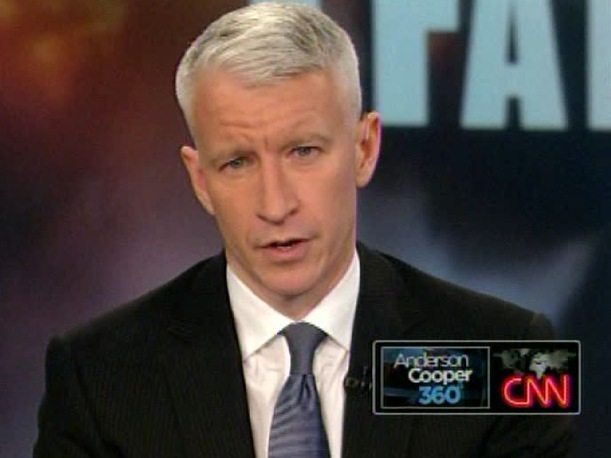 Over the holidays we're going to be taking a look back at some of Anderson Cooper's appearances on talk shows. We'll get back to Sunday reading posts in January. Tonight we'll kick off our series with a several conversations AC has had with Charlie Rose on PBS. This is a fascinating conversation that Cooper had with his friend Rose a few months after AC360 premiered. They touch on a wide range of topics including what AC wants 360 to be, portions of Cooper's interview with Jean-Bertrand Aristide, former President of Haiti and if Anderson Cooper ever envisions leaving CNN. Very timely stuff. 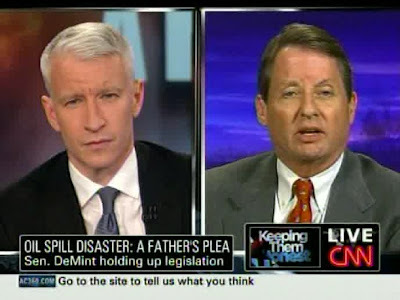 In August 2005 Cooper again talked with Charlie Rose, this time about the starving in Niger. KING: As you can see, the panel has increased, with the wife and the kids. We'll meet them in a minute. 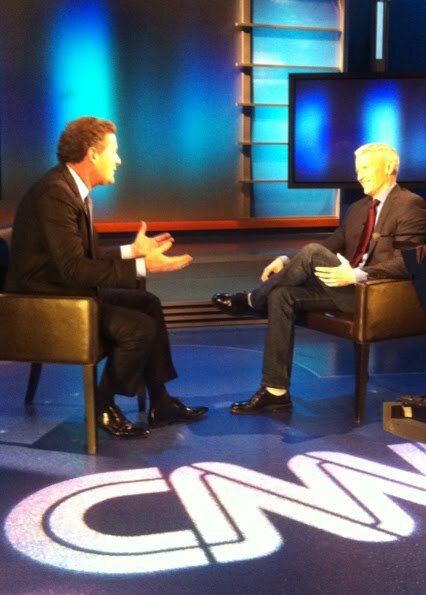 Anderson Cooper and I have been meeting via satellite, Monday through Friday for about five years now. All good things come to an end, Anderson. Sorry you can't be with us tonight. ANDERSON COOPER, CNN ANCHOR: Larry, I'm not going to talk about what's on my program tonight, which is what I usually do in this program. I just want to use my brief time to say thank you. You have been a friend, a mentor to me all these years that I have been at CNN. And I truly cannot imagine this place without you. And if I can say something very personal for a moment. You and I had lunch once recently and we both talked about our fathers. And we both lost our dads at a very young age. I think you were nine, I was 10. We talked about how one really never gets over something like that. And I was just thinking about how proud your dad must be for all that you accomplished in your career. And more importantly, in your life, being there for your boys, for your family, taking them to ball games, to school, and doing all the things that I know he would have wanted to do for you and that my dad would have wanted to do for me. Right before my dad died, he actually wrote a letter to me. And I just want to read you something that he said to me. He said, quote, "we must go rejoicing in the blessings of this world, chief of which is the mystery, the magic, the majesty and the miracle that is life." And I think you, more than most people, have done just that in your life and on your show. You've rejoiced in the blessings of this world. And you've brought us every night the mystery, the magic, the majesty and the miracle that's life. So I just want to thank you, Larry. We love you here. And we look forward to all that you're going to do in the days ahead. KING: Thank you, Anderson. I'm really touched. Thank you so much. ANDERSON COOPER, CNN ANCHOR: Well, a remarkable moment, a remarkable man has just signed off the air. It's hard to imagine saying this for the last time, but, Larry, thank you very much. And thanks very much for watching, everyone. COOPER: What a man, what a career. While I will watch the Anderson - Piers interview, which will be shown on AC360, I don't think I'll be tuning into Piers' program anytime soon. I already miss Larry King. ~ Wonz. 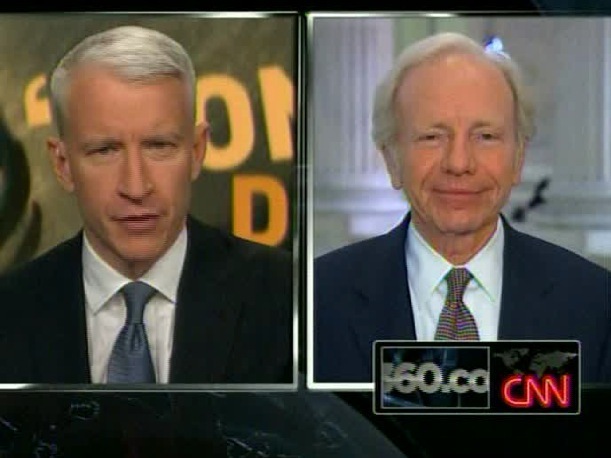 Anderson Cooper opened Thursday's AC360 with some heartfelt and touching words for Larry King. Cooper seemed sad and his voice a bit shaky as he said, "A remarkable moment, a remarkable man who's just signed off the air. It's hard to imagine saying this for the last time but Larry thank you very much and thanks for watching everyone. IN HIS OWN WORDS: Anderson Cooper introduced a video of a press conference held by the security guard Mike Jones, who was a hero in the school board incident this week. CNN has a month of time to fill between Larry King’s last day and the first day for his replacement, Piers Morgan. Mr. King’s final edition of “Larry King Live” will be broadcast on Thursday. 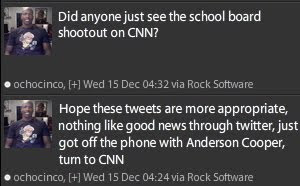 Here’s the plan after that point: the channel will show repeats of “Larry King Live” for the rest of December, and it will give Anderson Cooper an extra hour in January. CNN has not specified when Mr. Morgan’s program, “Piers Morgan Tonight,” will start, but it is expected in mid-January. Until then, Mr. Cooper, who usually anchors the 10 p.m. hour, will handle 9 p.m. as well, ”including some special coverage from Haiti surrounding the anniversary,” a CNN spokeswoman said. I watched Larry King Live for the last time tonight with much sadness. Even aging Larry was better than no Larry. 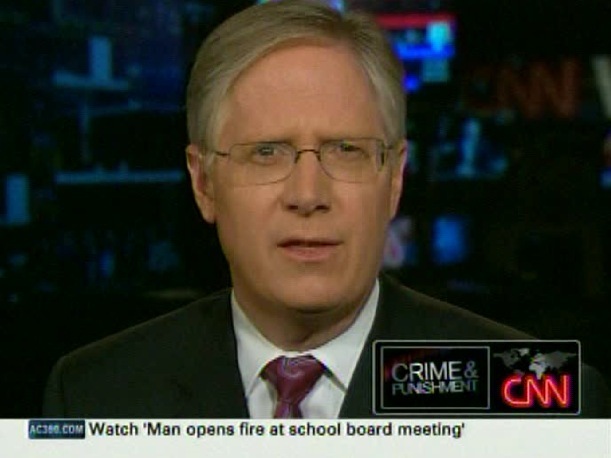 He was one of the best things on CNN. I can't imagine why CNN management, with all the crappy shows they air, would chose to drop Larry King Live. If given the opportunity to name his successor we don't know who Larry would have picked, but I truly doubt that it would be Piers Morgan. Piers may be boffo with his new program but I think it will take me quite some time to warm to him. On 360 tonight: Senator Joe Lieberman says the votes are there to lift don't ask don't tell but now they're fighting over working through the holidays and Republicans are saying they're disrespecting Christmas, now more Americans could be eligible for lap band surgery and 360 looks into whether it's safe, and the story of the school board shooting caught on tape. Anderson Cooper was in the studio to bring us breaking news of a shooting; more birther madness and to talk about earmarks. Yes, I'm having a syndicated talk show in the daytime, and it is going to be called ANDERSON. Mark your calendars for June 7, 2011? Really? It's the first Republican primary debate and CNN will be covering it. Anderson Cooper and Kathy Griffin return to New York City's Times Square to co-host CNN's coverage of the New Year's Eve celebration on Friday, Dec. 31, from 11 p.m. to 12:30 a.m.(ET). The duo will reunite for the 4th year of "New Year's Eve Live with Anderson Cooper and Kathy Griffin". "The Most Trusted Name in News just got a whole lot more trusting" said Griffin, "I'm thrilled that they're letting me co-host New Year’s Eve with Anderson Cooper again!" "Once again, I'm terrified to be co-hosting CNN's New Year’s Eve show with Kathy Griffin" said Cooper, "It’s often bitterly cold, and yet after being with her for a few minutes on live television, I find myself drenched in sweat." CNN correspondents will provide reports from celebrations across the country and around the world. CNN International anchor and correspondent Isha Sesay will join Cooper and Griffin from the crowd in Times Square. Correspondent Gary Tuchman will report live from Central Park for the annual Midnight Run. Correspondents John Zarrella will be live in Key West, Florida and CNN anchor and correspondent Brooke Baldwin will broadcast live from The Hard Rock Café in Nashville, Tennessee. 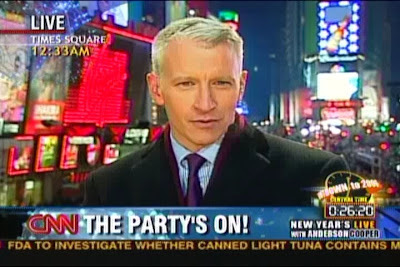 Leading up to "New Year's Eve Live with Anderson Cooper and Kathy Griffin" will be "Anderson Cooper 360’s All the Best, All the Worst 2010", which will air at 8pm and 10pm ET. Hosted by Tom Foreman, the special takes a look back at the year that was. From politics to pop culture and big news stories to the internet and sports, we’ll cover the best and the worst moments of 2010 with our panel of guests: our own Anderson Cooper, Newsweek’s Julia Reed, The Onion’s Baratunde Thurston, comedian Pete Dominick, the NFL Network’s Rich Eisen, CBS’s The Talk host Julie Chen, super Twitter tweeter Jack Gray, truTV’s Sunny Hostin, and CNN’s Kathleen Parker and Eliot Spitzer. A special edition of Larry King Live will air at 9pm ET.